During a Mohs procedure for skin cancer, Mohs surgeons examine tissue samples under a microscope to look for the presence of cancerous cells. 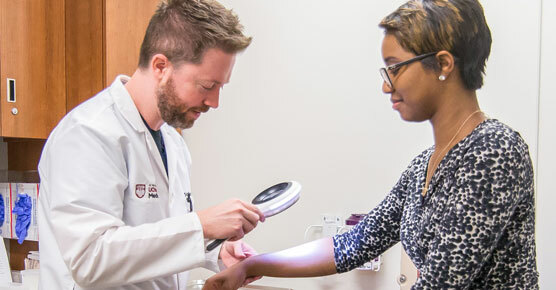 University of Chicago Medicine dermatologists offer Mohs micrographic surgery for the treatment of certain types of skin cancers. This precise surgical procedure is the most effective technique for treating basal cell and squamous cell carcinomas — the most common types of skin cancer. Mohs micrographic surgery is an advanced technique for the removal of skin cancer. During the procedure, a specially trained surgeon removes skin cancer tissue in a thin layer, sparing most of the healthy tissue that surrounds the tumor. After each layer is removed, the tissue is prepared for study in an on-site laboratory. The Mohs surgeon then examines each section of tissue under a microscope for the presence of cancer cells and makes a map of the site. Next, cancerous cells are removed while sparing the maximum amount of surrounding skin. The procedure is repeated in stages until all cancer cells are removed. Mohs micrographic surgery is usually performed on the face, neck and head. It is also sometimes recommended for recurrent and aggressive skin cancers on other parts of the body. Why should I have Mohs micrographic surgery for my nonmelanoma skin cancer? Mohs micrographic surgery preserves the maximum amount of normal tissue while excising skin cancer tissue. This makes it especially suitable for areas where good cosmetic results are essential: skin tissue on the face and areas of the head and neck. Additionally, this procedure allows the surgeon to examine the skin tissue in real time and begin treatment immediately, so all cancer cells can be identified and removed in one outpatient procedure. Do all dermatologists perform Mohs micrographic surgery? Mohs micrographic surgery is a complex technique that requires a skilled dermatologist with advanced training and specialized equipment. 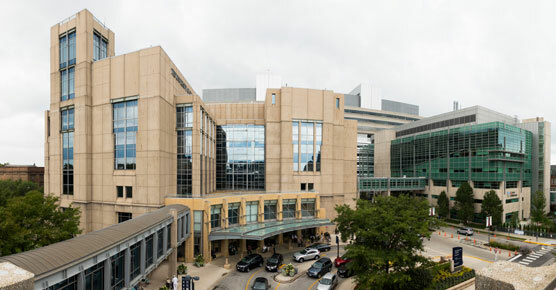 UChicago Medicine dermatologists who perform Mohs micrographic surgery have received additional fellowship training in the technique. Mohs micrographic surgery is performed on an outpatient basis. While many Mohs procedures are finished in several hours, it is advisable to allow a whole day, as it is difficult to predict the extent of the tumor and reconstruction needed prior to the start of the procedure. The procedure is done under local anesthesia. You may experience minor discomfort during the injection of local anesthesia. This is similar to what was likely done when the lesion was biopsied. The actual process of removing the skin cancer and reconstruction should be painless. Some patients experience soreness on the day following the procedure. Any time skin is cut, there is going to be a scar. Depending on the size of the post-operative wound, the Mohs surgeon may close it in a line or may use a skin flap or graft. Most wounds are repaired with stitches but in some cases wounds are allowed to heal on their own. In rare cases, patients may be referred to a plastic surgeon for a reconstructive procedure. You will receive detailed instructions for care after Mohs micrographic surgery. Patients may be asked to restrict their activity. Your Mohs surgeon will remove any stitches and monitor your recovery closely. 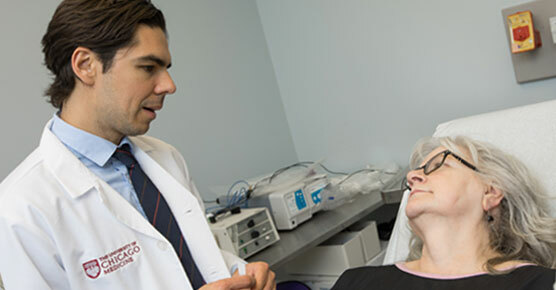 Patients may receive additional follow-up care through a UChicago Medicine dermatologist or their own dermatologist. Most patients can return to work the next day and resume exercise the following week. Will I get skin cancer again? Patients who have had one skin cancer are at risk for getting another. We recommend patients with a history of skin cancer have regular check-ups with their general dermatologist. Most insurance companies recognize the effectiveness of Mohs surgery and provide coverage for the procedure and reconstruction. Mohs micrographic surgery is named after Frederic Mohs, MD, a surgeon who developed the procedure in 1938.